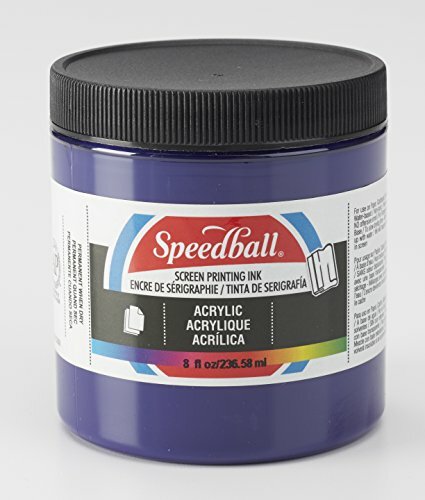 Speedball acrylic screen printing inks are professional quality and are available across a range of 30 brilliant colors including 6 bold fluorescents and 4 glow-in-the-dark inks. With unrivaled open time, Speedball acrylic screen printing inks provide artists with the ultimate flexibility to create without worry. Colors print with richness and are ideal for use on paper, wood and Cardboard. Non-flammable and contain no solvents.